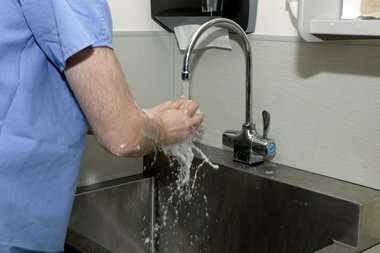 The role of the Authorising Engineer for water services is becoming increasingly popular, particularly in hospitals, healthcare environments and other large institutional and commercial facilities where the risks from Legionnaires’ disease, legionella and other waterborne pathogens require expert management to ensure compliance with the law. What is an Authorising Engineer Water? An Authorising Engineer for water is a “hybrid” risk management role that combines the skills found in engineering, building services, health and safety, and microbiology. In the UK this specialist role originally emerged from the NHS property and facilities management arena but has more recently been adopted by many large landlords, multi-site property holders and facilities management specialists to reduce risk and improve corporate risk management and compliance processes. What does an Authorising Engineer do? The Authorising Engineer is an independent professional advisor whose primary role is to assist organisations in managing the risks from exposure to Legionella bacteria in water systems and also from other water-borne organisms associated with such systems such as pseudomonas and stenotrophomonas. Our team of experts here at Legionella Control International have been delivering Authorising Engineer (Water) for some time now and our clients include several large healthcare trusts, major institutional and commercial organisations. As part of our service delivery process we have created an informative “Guide to the Role of the Authorising Engineer (Water)” that gives clients a detailed insight into this emerging water safety role, how it can increase operational efficiencies, improve management effectiveness and reduce organisational risk. What is an Authorising Engineer for Water? What are the benefits of using an Authorising Engineer? Legionella Control International is recognised as a world-leading independent advisor, expert in the provision of specialist consulting advice associated with the management of water quality in all engineered water systems, including those found in hospitals and similar healthcare environments. Our experienced specialists are suitably qualified to the highest standards and can be appointed by healthcare organisations as the Authorising Engineer (Water) to advise on the provision of safe water services to patients, staff and visitors in accordance with the Department of Health’s HTM 04-01, and Health & Safety Executives ACOP L8 and HSG274. If you are interested in learning more about this value-adding water safety role please contact us. What is a Water Safety Group? What is a Water Safety Plan? Please get in touch to request a copy of our Guide to Appointing an Authorising Engineer Water if you believe your organisation would benefit from using an Authorising Engineer. How Legionella Control International can help? As experts in the risk management of legionella and other water-borne pathogens such as pseudomonas and stenotrophomonas, we can help devise a comprehensive risk management programme dealing with water safety issues in healthcare, institutional and commercial facilities.